This creative single story residence designed in 2015 by LLoyd Russell is located in Encinitas, California, United States. 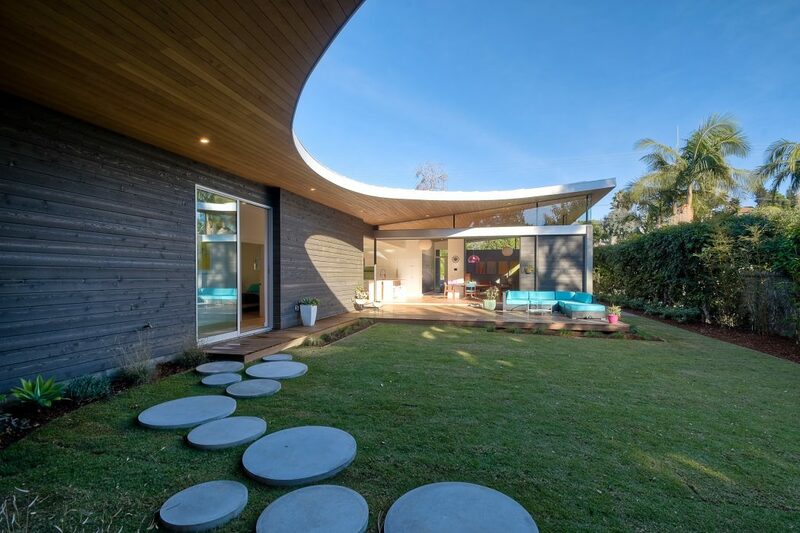 The Bold roof profile of Avocado Acres (Aa) House personifies the design collaboration with Architect, Lloyd Russell to inject a dose of creativity + Mod Green Architecture into a coastal infill project. Aesthetic cues originated from the historical LA?s Case Study Houses and Eichler?s MCM gems. However, this new residence is all about addressing the conditions we face now by incorporating sustainable materials, energy efficiencies and environmental sensibilities.